An electronic book (ebook) is a book-length publication in digital form, consisting of text, images, or both, readable on computers, tablets, and smartphones. Login with the credentials provided by your school, library or institution to access your bookshelf. After successfully logging into your bookshelf, click on the "Read Online" hyperlink to read the title online using a browser. Click on the "Read Offline" hyperlink to read the title offline using the iPublishCentral Reader Application. Over 1,400 years ago, the teachings of the Prophet Muhammad gave way to a community of followers who have since grown to the second-largest religion in the world today. The word "Islam" itself means "submission," and Muslims are those who submit themselves to the teachings of Muhammad and the Koran. 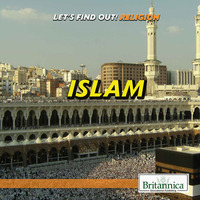 Abounding with images and informative sidebars, this elementary-level text introduces readers to the primary beliefs and practices of a widely misunderstood religion, including the role of prayer, Mecca, and holidays such as Ramadan. In addition to its history, there is a spread dedicated to the important role of Muslim-Americans in U.S. society. DISCLAIMER : While every effort has been made to follow citation style rules, there may be some discrepancies. Please refer to the appropriate style manual or other sources if you have any questions.